With Madden 19 just around the corner and the XCFL back from our short hiatus, we would like to take a few minutes to update everyone on some of the behind the scenes aspects of the league that include rule updates and the general direction the league is heading in. We have come a long way in a very short time and have amassed a great group of owners and the best staff I have ever been a part of. The XCFL has won the prestigious League Crawler ‘League of the Month’ award and holds ‘Elite League’ status on Daddy Leagues. We have added Live Game Broadcasts and several quality podcast over the course of Madden 18 as well. Needless to say before our time off the XCFL was doing some great things. But the future still holds some great new things for us. The first order of business is to announce the new XCFL Commish is Nick Larson. He will be taking the reigns and leading the XCFL into the future. After 15 long years serving the madden community, former commish and XCFL founder Jim McMillen has retired from his duties and will take a small role as league adviser moving forward. Some other changes the league is making are very obvious, the brand new state-of-the-art XCFL website is bar none the best the Madden community has to offer. Be sure to head over to the Rookie Symposium section of the website and learn how to post team news, update your profile and more. If you have any questions, hit Steelerguy up on Discord. Our league rules, which we are working on updating, have been broken into individual sections on the website. There is a section with all the rules and separate areas for each category such as Transactions and Game Play rules. So be sure to check out the changes to the layout and get up-to-speed on any rules that have been updated (updates to be posted soon). Before you do that though I wanted to highlight a few of the bigger changes to the rules such as the fact we are eliminating the Member Ranking system and replacing it with a much simpler system. 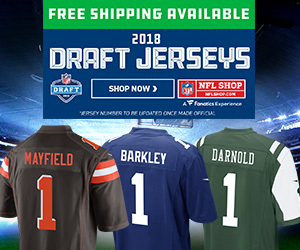 Members will now be broke down by the rank of Rookie, Starter, Legend and Hall of Famer. Playbook Rules have also changed as we will now allow custom playbooks for all members above rookie rank. Scheduling Rules the Home team is responsible for posting the game including date and time in the XCFL Discord Schedule chat. This should be posted within 24 hours of advance. Failure to do so will be a warning the first time and player suspension every time thereafter. 4th Down Rules check the rules for updates and changes to the 4th down rules. Free Agency Rules we have also updated our free agency guidelines so be sure to read up on what has changed. Trading rookies and members on probation will have trades limited. Check the rules for details. The XCFL is a content driven league and we hope all our members take it serious and utilize the website and team twitter accounts to post team news. We are a content based league and all members who join are expected to contribute both news articles and via Twitter. So be creative and have fun with it. The more we all get involved and are active posting content the better the league will be. Be sure to read over the rules completely before we jump into Madden 19 for all other updates and changes. Knowing the rules is the sole responsibility of every member. Not knowing them is not an acceptable excuse. Our goals in Madden 19 are not to win the Daddy Leagues and League Crawler League of the Year awards or to become one of the top 5 Madden leagues around. Those honors would be awesome but are not the true purpose of this league. Our goals are to create the best damn Madden community around a place we all can call home and to create a stress free environment for us all to play the game we love so dearly and compete with people we consider brothers..
For the XCFL to grow as a league, every member needs to be 100% committed to helping make it happen. That includes posting content, utilizing Twitter, watching and commenting on our Live Game Broadcast and Podcast and staying active in chat. In closing, both Nick and I want to once again apologize for the time we took off that resulted in the XCFL temporarily closing its doors. the XCFL is an August to August Madden experience. We are more than just another CFM and we have some very lofty goals and for those to happen it will require every members help, including the re-dedication of the staff and those at the top. It’s not how you play the game but what you put into it that makes you a great owner. So get ready for another great installment of Madden NFL and the birth of greatness as the XCFL looks to once again take the CFM community by storm. As always any questions, concerns or suggestions can be directed to any of the XCFL staff. Just happy have you guys back!! Website looks awesome and i cant wait to start this new era! !